Choose from a selection of yard art plans below including yard and garden stakes, and animals for your lawn. 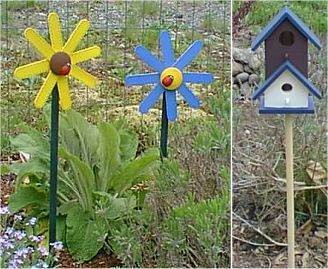 It's easy to decorate your lawn or garden just by building this sweet birdhouse or flower stake. 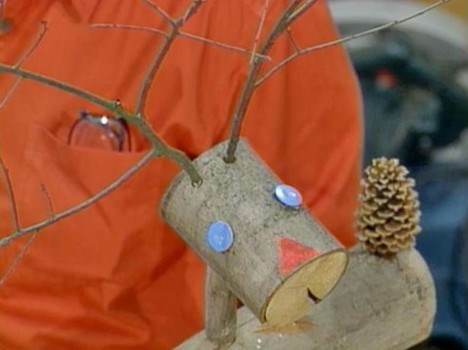 Here are animals made out of logs, twigs and sticks. These cute animals make great lawn decor. This is a plan for momma duck and her little chicks following close behind. 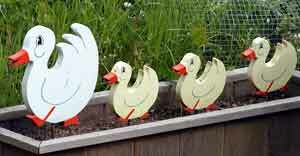 These adorable ducks will look great on your lawn or garden. 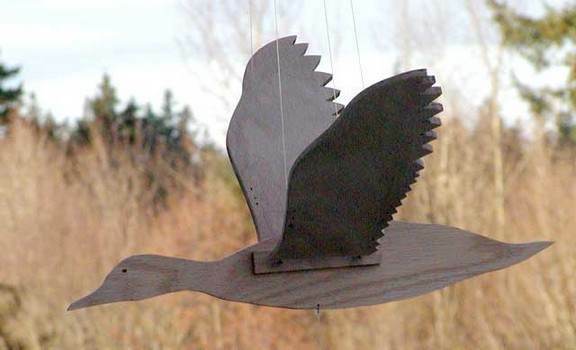 You can build this duck that looks as if it's flying using these simple to follow plans. 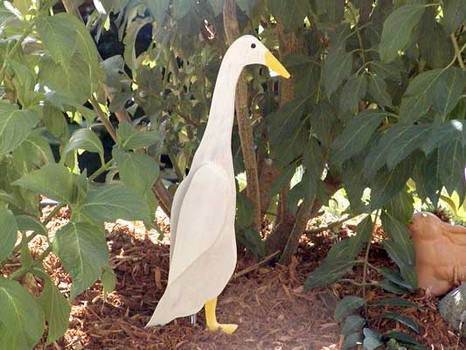 This cute little wooden duck is just waiting to hang out in your garden or lawn.